When choosing high power binoculars, there are some things to look for so that you are not disappointed with the higher magnification for long distance viewing. In general, the higher the magnification (the first number in binocular sizes: 10x, 20x, 30x, etc. ), the larger the objection lens size (the second number in binocular sizes: 40, 50, 60, etc.) you would want. Because if you get a high magnification paired with a small objection lens size, the smaller the field of view gets as well as decreased image brightness since the lens is smaller. A simple formula to determine if the objective lens size is big enough for the magnification is to divide the objection lens size by the magnification which gives you the diameter of light in millimeters of the exit pupil. You really don't want to go below 3 mm. So if we were looking at the Celestron Echelon 20x70 Binoculars, we would divide 70 by 20 which is 3.5 mm which passes. 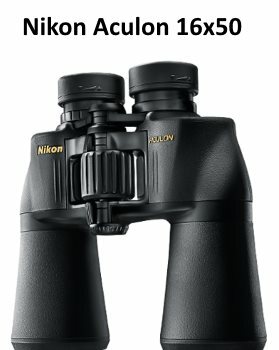 It is possible to consider a pair of binoculars that violate this rule, like the Nikon Monarch 5 20x56 (2.8 mm exit pupil)? Yes, if the binoculars have higher quality optics to increase brightness and image quality like ED glass, fully multi-coated lenses, and phase corrected prisms. The only drawback to getting high power binoculars with a larger objection lens is increased weight and size of the binoculars. 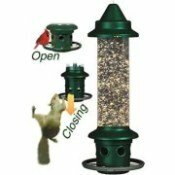 But for the most part, you are using these at places to look out at long distances and not having to hike around with them all day like a birdwatcher in a dense forest. Discussed below are some of the best high power binoculars to use for long distance viewing in four price categories. 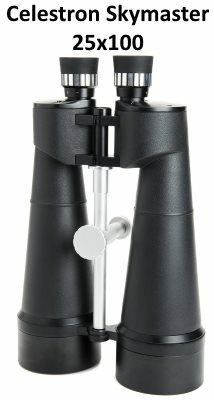 High powered binoculars can be used for multiple purposes - whether trying to spot a cheetah in the distance on a savannah safari, or watching water birds from your deck out on the the bay or lake or ocean, or viewing deer or elk or other game on the next ridge when hunting, or watching ships from the beach, or even for astronomy purposes. 16x magnification is usually the limit most can use without a tripod, bipod, monopod, or leaning against a tree or other object. Also, as the weight increases because of the need for a larger objective lens, you'll find that it is difficult to hold binoculars of that size for any significant amount of time, and the use of a tripod or other type of stand or support will be required. Additionally, at higher magnifications your hands cannot hold the binoculars steady enough and you will see a shaky image. Some people say they get this shakiness with 16x binoculars, but it also depends upon what you are viewing. If you are looking at stars, they likely will be shimmering and not steady. If you are viewing an elephant in Botswana and have relatively steady hands or can lean on something, then you probably won't need a tripod. 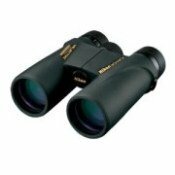 The Nikon Aculon 16x50 Binoculars are a solid, affordable choice for high power binoculars. The ashperical multicoated lenses coupled with BaK 4 high index porro prisms, and Eco-Glass provide enhanced brightness and clarity with little edge blur. It is possible to use these as hand helds, but some still prefer a tripod, bipod, or monopod. Many users liked the fact that the Aculons has solid metal (not plastic) tripod adapter. The FOV on the Aculons is 220 feet at 1,000 yards which is pretty decent. "Bought the binoculars before going to Alaska because i want some with good magnification to spot wildlife and scenery from a distance. The Aculon's can be used for stargazing, but I think any of the other binoculars discussed below that have a magnification of 20x or higher, like the Celestron Skymaster, Celestron Echelon, Nikon 5, or Vortex Kaibab would be a better choice for high powered binoculars for astronomy. At 20x80, The Celstron Skymaster High Power Binoculars have a wide exit pupil (4 mm) which is good for all types of viewing conditions, but especially in low-light and for stargazing. The multi-coated lenses and Bak-4 prisms also helps to provide a crisp, clear image. They also have an integrated adapter rod for a tripod. "I'm impressed by these super-high powered Celestron binoculars. 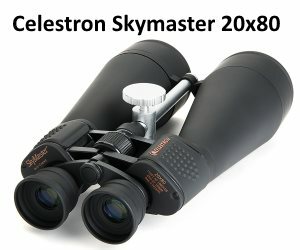 I have two different SkyMaster binocular powers and find both have good views and sturdy construction. These SkyMasters have a little more magnification which is compensated with a larger objective lens compared to the previous cheaper pair: 25x100 vs 20x80. Both have an exit pupil size of 4 mm which allows for great light gathering capacity. Both Celestrons in either the 20x or 25x power would be good for either terrestrial or astronomical viewing. "I hold the binoculars up and I can see birds where there was nothing with the naked eye. "I am an amateur astronomer and Vice President of the local Astronomy club. I own several pairs of large binoculars and have looked through many more. The large-aperture Celestron Echelon series is designed especially for use in low-light terrestrial conditions or for astronomy purposes. 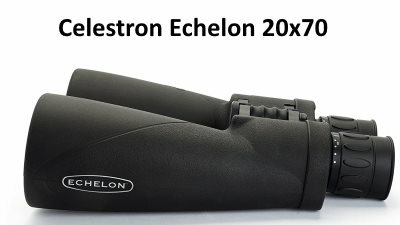 The Echelons have BaK-4 prisms for contrast and sharpness and hav the same proprietary XLT lens coating that is used on their observatory-grade spotting scopes for increased contrast and resolution. The optics are made in Japan, and the binoculars are then assembled by hand in the USA (California). The Nikon Monarch's have ED (Extra-low dispersion) glass lenses which correct chromatic aberrations, compensate for color fringing, and provides brighter images. Dielectric high-reflective multilayer prism coating, sharper, brighter, clearer whites across entire FOV. 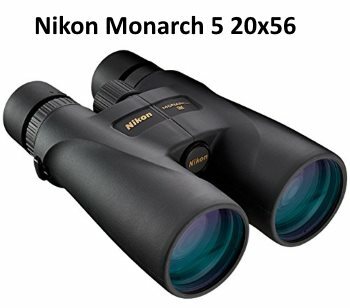 View the Nikon Monarch 5 20x56 Binoculars - This package includes a tripod, monopod, smartphone adapter, Makaw video perch camera mount, and cleaning kit. The Vortex Kaibab's Apochromatic Optic System (APO) is combined with HD (HIgh Density) extra-low dispersion glass for excellent color sharpness and fidelity, high resolution, and high definition images. XR Plus Fully Multi-Coated lenses with multiple anti-reflective coatings for excellent light transmission and maximum brightness. Dielectric prism coating provide clear, bright, color-accurate images. ArmorTeck and Rubber Armor coatings protect housing and provides non-slip grip. "Being a guide for several years and have any opportunities to look through different glass. You get to see plenty of differences. 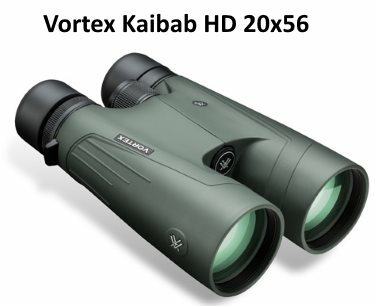 The clarity of Vortex Kaibab binoculars stands alone. 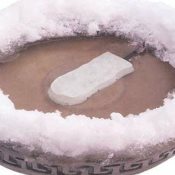 You don't have the heat distortion that is normally seen through high powered glasses. The light gathering ability is nothing less than amazing! Should I get a tripod or a monopod to use with my high power binoculars? With all other conditions being equal, a tripod is always going to the better choice to use with your high power binoculars than a monopod. A tripod will always give you more stability and therefore clearer and steadier images than a monopod. You will almost always have some movements with a monopod, which may be fine with terrestrial viewing during the daytime, but not so much at night with star gazing. 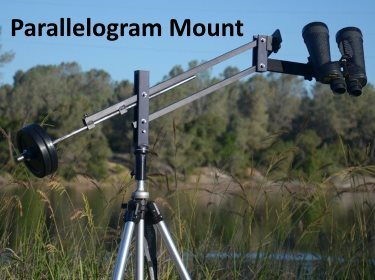 What is a parallelogram binocular mount? A parallelogram binocular mount is used on a tripod for astronomical observations. 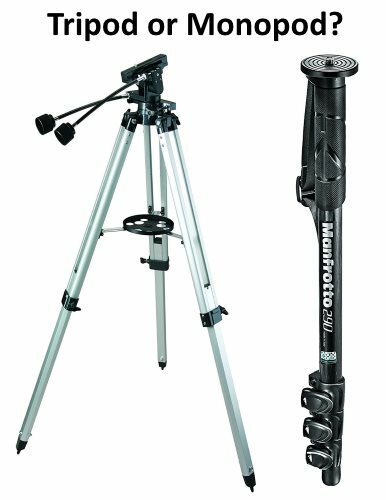 It provides stable support for heavy astronomy binoculars, like the Celestron Skymasters which have heavy 100 mm objective lenses. It's also easy to adjust if you want to stand or sit while looking through the binoculars. The Orion Paragon-Plus Binocular Mount and Tripod would be a good choice with any of the Celetrons. So when should I use a monopod? Use a monopod if you need to be mobile and be able to set up or take down your binoculars quickly. A monopod will be easier to take when traveling by plane. In general, you should only use a monopod with 15x up 20x binoculars for daytime use. This is only a suggestion and some people wouldn't like using a monopod with 20x binoculars. For astronomy, 14x magnification binoculars and up with a monopod may be too difficult to hold steady for star gazing. There are monopods with legs or an integrated free-standing base to help a little with stability, or sold as separate attachments like these monopod bases. To help with stability, you can brace the bottom of the monopod against your foot or leg. Here are some tips for using a monopod. As the magnification goes up, along with the objective lens size and therefore the weight, you'll need to use a tripod because the binoculars will be too heavy for a monopod. In general, get a good ball or tilt head on your monopod and make sure it can extend to at least your height or taller for astronomy use if you will be standing when viewing the sky. You don't want to have to crouch down to look through the binoculars. What are the pros and cons between using high power binoculars vs a spotting scope? You may be able to find a compact, lightweight spotting scope that is about the same weight as some high power binoculars. The advantage being they will give you higher magnification with zoom ability. If you want more than 25x magnification, you probably want to switch to getting a spotting scope because of the size, weight, and ability to hold steady the binoculars will not be advantages over a spotting scope. Of course and advantage of a spotting scope will always be the higher magnifications. You can't get binoculars with 100x magnification or higher. Spotting scopes will always allow you to see at longer distances. The larger objective lens sizes on spotting scopes can also gather more light during low light conditions. 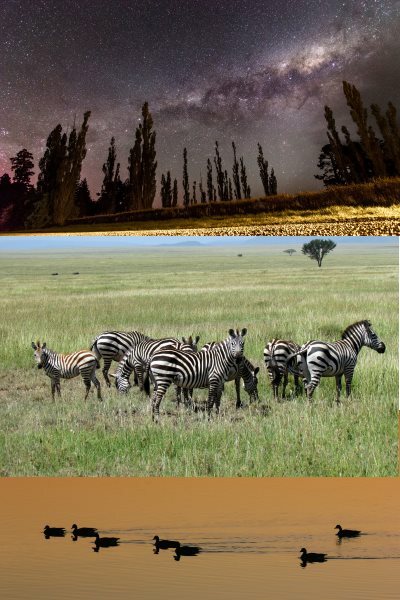 Because binoculars have a wider field of view than spotting scopes, it makes it easier to locate the object, whether it be an animal or a star or planet, when looking through the lens. Good spotting scopes will usually be more expensive than high power binoculars. Spotting scopes are larger and heavier and require a tripod which make it more difficult if you need to be mobile. If you need to look at something quickly in the distance and are hiking, using binoculars will be faster over using and setting up a spotting scope on a tripod. If you want to take a look at some spotting scopes for comparison, here's a review of the best spotting scopes in the 5 prices ranges, from Super-Budget (Under $200) to Best of the Best (over $2,000). You can attach your phones to the binoculars for photos and videos using a digiscoping adapter. We also have a page with digiscoping tips, choosing adapters and cameras when using spotting scopes. For high power binoculars with night vision, check out these Night Vision Binoculars with 3W Infrared LED Illuminator. The most powerful compact binoculars that would ever make sense would be the Olympus Tracker 12-16x25 Binoculars. What makes a mini or compact binocular actually compact is the smaller size of the objective lens. If you go any much higher on magnification, images will be dark and the field of view will be too small. The most powerful binoculars in the world is claimed by the Suangor 30-160x70 Mega Zoom BCF Binoculars. 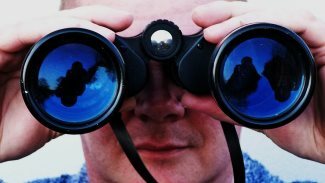 How To Choose Binoculars - Tips on choosing the best binoculars for your needs.